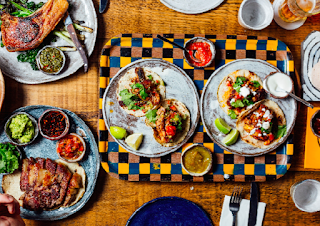 On Sunday 23rd April Breddos Tacos is having a collaboraton day with SomSaa, the Thai restaurant that started off as a pop-up, running from 12 noon til late. Expect such one-off tacos as Thai red curry short rib, and also buttermilk fried chicken wings. No booking, but this is one pop-up that will be well worth queueing for! 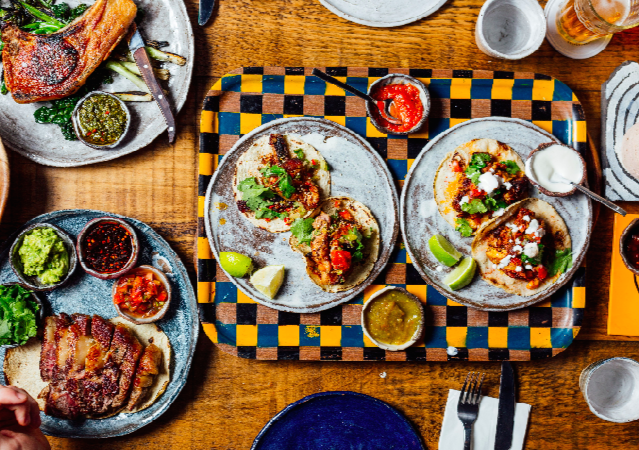 "Following the success of their last event with Guerrilla Tacos, Breddos are excited to announce their next TacOver, on Sunday 23rd April, with Som Saa and Anglo-Thai's John Chantarasak. Breddos and John will be fusing their famous flavours in the kitchen for a one off Mexi-Thai Sunday BBQ. Get excited. Running 12pm till late, a collaborative one-day-only menu will feature an array of creative dishes, from red curry short rib tacos with blackened pineapple nam prik, to whole salt-crusted sea bass with habanero jaew; scallop tiradito tostadas with coriander root, bone marrow and lemongrass; buttermilk fried chicken wings with roasted chilli jam and Thai basil; and northern thai spiced larp taco of anglo-asian mushrooms with galangal nam prik. As for drinks, there’ll be Singha slushies, Mezcal Margarita buckets, Som Tam Chillibacks and NewComer Wines on hand to pour the finest plonk."